IOWA CITY, Ia. 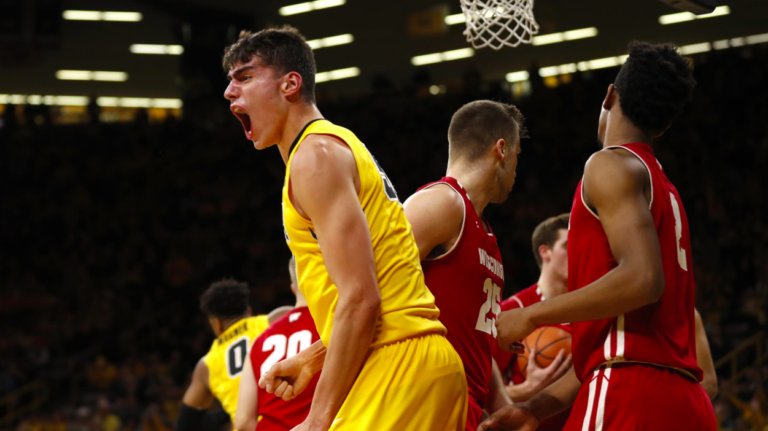 – When the Iowa men’s basketball team opened as a 1-point favorite against Wisconsin at home on Tuesday morning, general reaction to Vegas’ opinion was negative. How could the Hawkeyes, fresh off a slaughtering at home to Purdue, possibly be favored to win any basketball game? 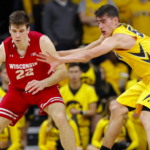 Iowa defeated the odds Tuesday night at Carver-Hawkeye Arena, putting together their best complete game as a team in well over a month as they rolled over the Badgers, 85–67. Garza stole the show on Tuesday, putting together one of his best games in what has been a miraculous freshman season for the big man. Garza tied for the team lead with 17 points, collected 16 rebounds and more than held his own on the defensive end against Badgers All-American Ethan Happ. Happ finished with 21 points but was kept in tune most of the first half and turned the ball over four times. Garza’s performance did not go unnoticed. Garza’s 16 rebounds are the most by any Iowa player in almost two years. He’s improved almost all aspects of his game since a slow start to Big Ten play in the new year. Cook added 17 points of his own while throwing down some ferocious dunks to open the second half. Iowa did not light up the scoreboard with three-pointers like they have tried to do in recent games, only nailing six threes, but their defense on that same end was steadily improved. After allowing a Big Ten record 20 three-pointers against Purdue on Saturday, Iowa held Wisconsin to just 4 of 18 shooting from beyond the arc. One of the key moments in the game came towards the very end of the first half, with the Hawkeyes leading by just four. Isaiah Moss took a corner three that looked to be too strong off the back rim, before bouncing around a bit and falling through the hoop. It put the Hawkeyes up seven, which they would stretch to nine (again via Moss) a few seconds later. The Hawkeyes had been lacking that sort of continuity and preparedness on offense in their last several Big Ten games. If the kinds of messages sent after the Purdue loss continue to resonate, the Hawkeyes could surprise some teams the last half of Big Ten play. Iowa is back in action on Saturday when they visit Nebraska.